Children are helpless. They are dependent on their parents or guardians to act in their best interests. When the minds of their parents are polluted with irrational and dangerous superstitions, the risk to the innocent children skyrockets. A primary source of brain pollution for the parents and guardians of children is Christianity and the Bible. Two recent cases prove this. The first case is of a nine year-old boy, Aaron Grady, who unfortunately had a mother who believes in the Bible and is a Christian. As a Bible believing Christian, she, Susan Grady, believes the multiple Bible promises of healing through faith and prayer. Promises such as Mark 16:18 which falsely promises believers in the Gospels/Christians the power to heal simply by laying their hands on the sick. Even after her son, Aaron, died, Susan Grady told police that she believes "in faith-based healing through prayer." Every month approximately 1-5 innocent children die because of this unnecessary Christian/Biblical superstition. Another Christian and Biblical superstition we need to save the children from in addition to death through faith-healing is death through exorcism. Just last month a toddler who, like Aaron Grady, was unfortunate enough to have a mother who took the Bible and Christianity seriously was killed because his mother actually believed in the Christian/Bible make-believe being of a demon. Being a good Bible believing Christian, Latisha Lawson "knew" demons really do exist. She believed her daughter and three-year old son were possessed by demons and forced them to drink a mixture of oil and vinegar to remove the demons. Her 10 year old daughter, Kierra King, vomited the mixture out. However, her three year old son, Jezaih King, was given the concoction three times and on the third time his mother held his mouth shut for about 10 minutes until he stopped breathing. Add to these two threats to the very lives of innocent and helpless children the additional threat of the faith test. The insane example in the Bible at Genesis 22 of Abraham being ordered by God to kill his only son Isaac is misunderstood by many believers. One Christian mother killed her two sons by stoning and severely handicapped her third son. She said the reason for her brutal and senseless killing of her own children was to "prove her complete and unconditional faith in Him." If she would have focused more on her Bible reading she would have known God did not order Abraham to kill Isaac because he was testing Abraham's faith. 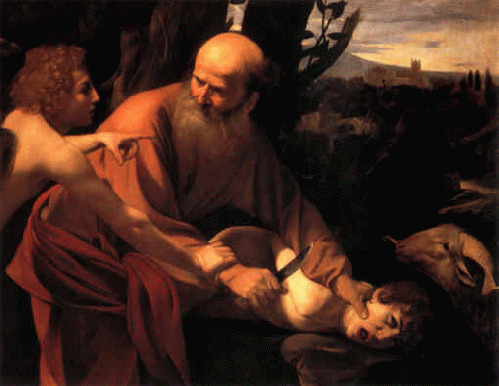 Genesis 22:12 makes it clear that God ordered this horrendous action because God did not know if Abraham feared God enough to actually murder his only son! This shows the God of the Bible is not all knowing. It also shows he's a very sick individual. This Bible story is akin to a parent ordering their six-year old child to kill their pet puppy or kitten just to see if they will do it out of fear of the parent. Christians and all Bible believers need to make themselves familiar with this quote from Thomas Paine's The Age of Reason : "Is it because ye are sunk in the cruelty of superstition, or feel no interest in the honor of your Creator, that ye listen to the horrid tales of the Bible, or hear them with callous indifference?" We need to educate the sincere Christians who believe in these Biblical absurdities. This is the best way to save the lives of innocent helpless children who are yet to fall prey to their parent's belief in faith-healing and demons. Deism has the capability to accomplish this very important goal because Deism strongly embraces the idea of God and at the same time rejects the absurdities of the ideas of God promoted by the "revealed" religions. Deism can teach these parents to equate reason with God and to reject the superstitions of the Bible because they go against their God-given reason. Once that is accomplished the children will be saved from Christianity and the Bible.